THERE'S a quote (often attributed to late make-up mogul Helena Rubinstein) that's rumoured to be very popular in Korea: there are no ugly women, only lazy ones. This could explain why it's often also alleged that Korean women spend an hour every morning and night on their skin, using up to 12 products at a time. But that can that really be true? "Absolutely, especially the older generations," says Katalin Berenyi, co-founder of Erborian, the brand that blends Korean and French skincare expertise. "Korean women use lighter and less concentrated galenics [textures], so that the total intake of actives is better balanced." "The nightly skincare regime can range anywhere from eight to 17 steps," confirms Britta Brauer, Founder of Asian cosmetics online shop BestBBCreams.co.uk. "In Korea, and in most parts of Asia, it's not very common for women to wear heavy make-up, so the emphasis lies in having naturally clear and even skin." Plenty of Korea's most famous skincare brands are now available over here - so all you need to do is put aside those two hours to use them (good luck!). "The first step of the nightly routine is to use a make-up remover, ideally an oil-based one, because it's more effective at removing waterproof make-up, especially mascara, without irritating skin," says Brauer. "Wash the face with a cleansing foam to get rid of all the leftover make-up residue, as well as dead skin cells. It's important that every little bit of make-up is removed so there is nothing to clog pores, and to leave a clean canvas for all the following steps." "Daily exfoliation is done in the evening, with very gentle products," says Berenyi. "Our Western products are often considered too aggressive." 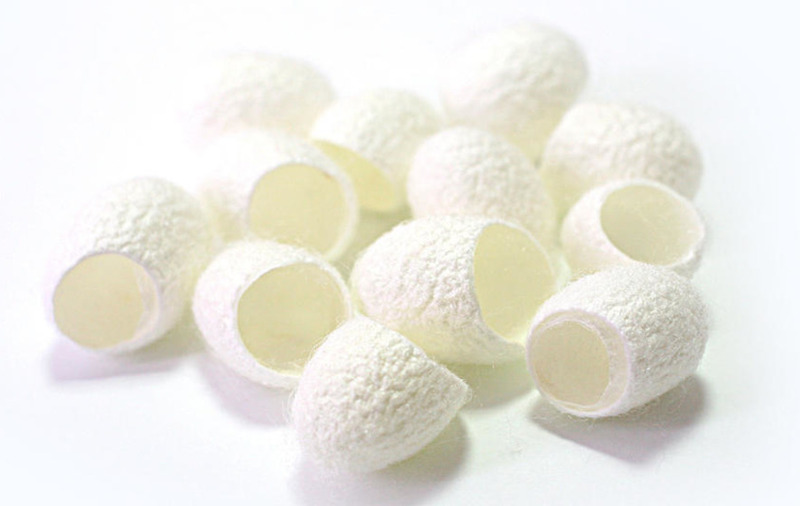 A major craze in South Korea, Silk Finger Balls - made from real silk cocoons - are soaked in warm water and massaged over skin to exfoliate, also sealing in moisture thanks to silk's super-strength amino acids. It sounds like our equivalent of toning, but "this is the really hydrating step", insists Berenyi. "Don't use your usual tonic, as it will dry up the skin, choose instead a truly moisturising lotion." "Boosters and 'ampoules' represent relatively new steps in Korean skincare," Berenyi says. Used as a sort of pre-serum, they "prepare skin to open up and receive more of the precious actives". Similar to serum, the 'essence' step delivers the most actives to your skin. "You use your hands, which is always best for face care," advises Berenyi. "Clean them thoroughly first, then apply a few drops of essence on your face and neck and tap the skin to help penetration." "The sheet mask is used once or twice a week," says Brauer, of the slightly scary looking white face-shaped patch. "It's soaked in a serum that provides intensive care for your skin. Once you take off the mask, you gently pat the serum into your skin until it has been fully absorbed." "Since the eye area is delicate and prone to being dry more easily, it's important to keep skin under the eyes extra hydrated by using an eye cream," says Brauer. Erborian eye cream contains energising ginseng and herbs to reduce puffiness." For daytime, you should switch your moisturiser according to your skin condition and the season, so you'll need at least three types, says Berenyi: "A light gel type that's not too rich for summer, a milky lotion or fluid type for spring and autumn, and a more creamy formula for winter, when skin is in need of nurturing." And if you're looking to calm redness, try a bee venom cream, an innovation that originates in Korea. "The final step of the day is the night cream, which tends to have a thicker consistency," Brauer says. "It adds extra moisture and also acts as a barrier, leaving skin really soft and hydrated in the morning." Plus, if acne is an issue for you, you'll want to finish by covering any burgeoning blemishes with another genius Korean invention, the pimple patch, which uses wound-healing technology to stop spots in their tracks. "A wet-look pretty rosy pink, the short brush bristles make this gloss easy to apply. Once on, it blends in well and is not nearly as neon as it looks in the tube. Not too sticky either, it also stays on for much longer than many glosses." "When applied, this rich, sleekly-packaged gloss doesn't quite pack the pink punch expected, instead leaving lips a slightly paler (but equally pretty) shade. It claims to provide lasting colour throughout the day, but required reapplication after eating and drinking." "Not being much of a lipstick fan, I'm surprised how much I like the Pout Pen. You take the felt tip end, draw around your lips to stain them in the pretty pink colour, then go over the top with the hydrating balm. It feels light, looks lovely and, as long as you don't eat, lasts a good while too." The new Pop of Passion collection from BareMinerals delivers succulent, dewy colour for lips and cheeks, just the thing to get you in the mood for summer. We love the Lip Oil-Balm, available in eight shades, which has a light, moisturising feel and glossy hue that makes it look like you've been sucking on a fruity lollipop (in a good way). There's a new manifesto making waves in the cosmetics industry, but it's got nothing to do with politics. The Real Beauty Manifesto is asking companies to sign up to a list of six values, including purity (avoiding harmful chemicals), transparency (clear labelling) and sustainability (using resources wisely). Look out for the RBM logo on products from participating retailers and find out more at www.realbeautymanifesto.org. Self-tanning brand Vita Liberata has been awarded the Queen's Award for Enterprise in International Trade for the second year running - something no other beauty brand has achieved. The Irish company is now stocked in over 26 countries and has seen a 400 per cent growth in sales in recent years. Topshop Beauty turns five this month and to celebrate, its bestsellers from the last half-decade are getting another limited-edition release, dressed in plush new rose gold packaging. Our favourites? It's got to be 2010's ravishing red Rio Rio Lipstick, £8 (Alexa Chung is also a big fan), and the highlighter hero Glow Pot, £9 (available May 5; www.topshop.com).